THE PICKIEST EATER IN THE WORLD: THIRD ANNIVERSARY GIVEAWAY #2: RACK'S RIBS! For the second Giveaway of my Third Year Anniversary.. 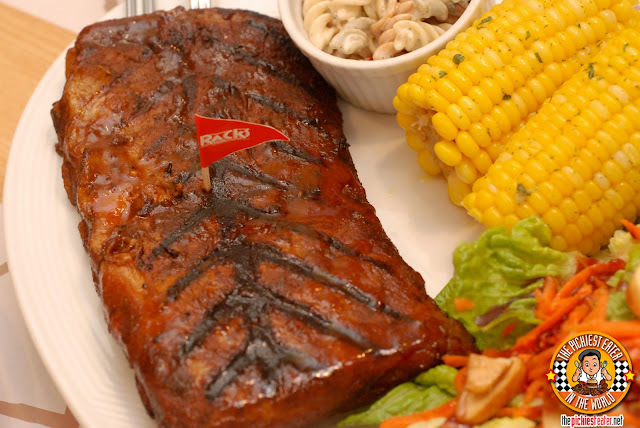 I'm going to be giving out P3,000 worth of Gift Certificates to RACKS, for some lip smacking ribs!! My thank you to my wonderful readers for their unwavering support of my blog for the past three years continues! Rack's Ribs has given Rina and I quite a substantial amount for me to share with two lucky readers! And delicious Southern Fried Chicken! I'm giving out P1,500 to two lucky readers! I want to try this now! Salted Caramel + Heath Bar + Cookie Dough = Yummy!! Drooling over the BONE MARROW and BACON SLAB!! I look forward to trying The Coldstone Creamery's Oreo Overload! It looks yummy! Looks yummy I should try this one ! I just love those ribs! eyeppetizing ..... sarap ng foods dyan! I was hoping I'd win this! Hope you'll have another Yabu giveaway! Ahhh... Racks. How nostalgic. And I always have a bottle of Racks' BBQ sauce in my ref. Hope to get to eat there again soon (thanks to the GCs, hehehe)! BACON. BACON. BACON. All things good come with BACON! Those ice creams really look appetizing!! I hope I'd get the chance to taste 'em all. I want to try Cold Stone and it is perfect for the summer season. 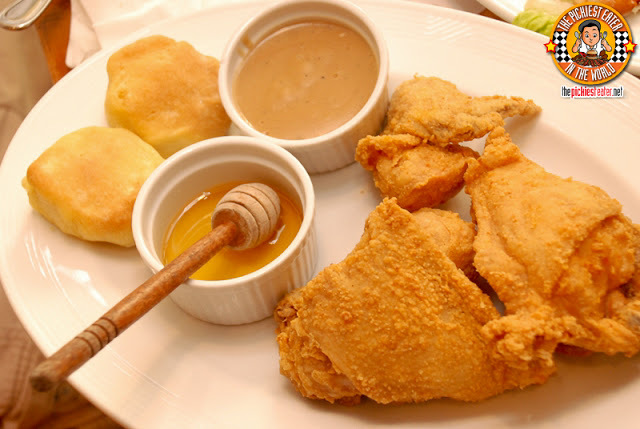 I already tried the southern fried chicken and yes you are right richie!It is something with a unique crispiness! I'm dying to eat one of these cheese steaks. SOON! wow Cowboy Combo platter looks delicious! OMG I wanna try em all!!! Looks like it's not your typical kind of ice cream. As for me, it's too pricey. But, I think it's worth it. I will definitely try this and will put it in my list. :D <3 Not healthy to look at this in the middle of the night! waaaaaaaaaaaaaaaaah! Sarap. This is one of our favorite treat during meryenda. I'll mark my calendar. I love to come and experience this gastronomic adventure for the first time. i used to pass by this place but never tried their food. Malcom's Irish Benedict looks divine! Looks yummy! Can't wait for trinoma branch! I'll finish it to the bone! That's what I call RIBS! 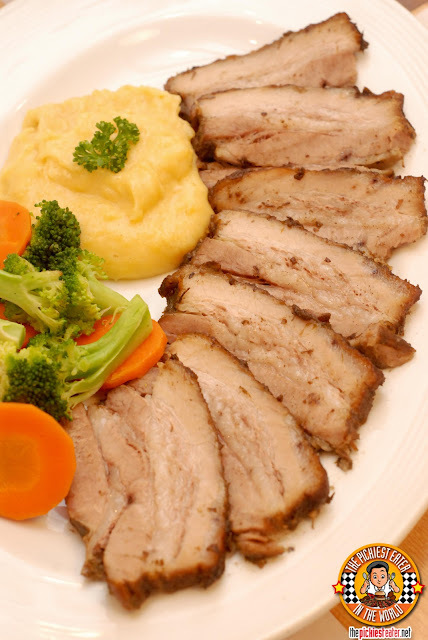 I seriously want to try out those pork belly briskets! Ribs grilled to perfection with a great sauce on the side! Thanks for the review those photos gave me a huge appetite! Racks rib!!! <3 hoping to win!! ROFL. I found your blog because I was looking for pictures of Zark's. I really love your Zark's post, all with the dash of laughter and good food in it. I would want to try Zark's soon but I'd say no to The Tombstone. Keep the blog up RichieZ! It wouldn't hurt winning a GC from Rack's too. Their ribs are to die for. And the chicken. It could rival Army Navy's (theirs is the chicken I love the most)! Manang's Chips and Dip are the best! Pinoy foods is the best like this foods nakakatakam..
Not a big fan of ice cream, but this made my mouth water! Mmmm! i didn't know cold stone was already open! will definitely visit next time i'm in bgc!!! I'd love to try those dishes! Hoping to win those GC's! I love the ribs at Racks!